Great advances have been made in modern medicine, but the foundation of this progress stretches back for centuries, even to the golden age of Arabic science. A consensus on the highlights of medical achievements would be a formidable task but could possibly include the eradication of major epidemics, drug discovery, the gene as the unit of heredity, sophisticated surgical procedures and the many technological applications that help in the diagnosis and treatment of disease. Also, it is essential to acknowledge the research behind a cure or successful technique. The first lecture is an overview of the topics chosen, followed by the history of genetics, epigenetics, (‘the bridge between nature and nurture’), the discovery of anaesthetics, and finally the first choice of Friedman and Friedland, William Harvey’s discovery and description of the circulatory system. 5. William Harvey’s blood circulation: the best discovery? Carey, N. 2011. The epigenetics revolution: how modern biology is rewriting our understanding of genetics disease and inheritance. Icon Books. Friedman, M. and Friedland, G. 2000. Medicine’s 10 greatest discoveries. New Haven, U.S.A.: Yale University Press. Judson, H.F. 1980. The eighth day of creation. Makers of the revolution in biology. United States: Touchstone Books. Watson, J.D. 1970. The Double Helix. A personal account of the discovery of the structure of DNA. New Zealand: Penguin Books. 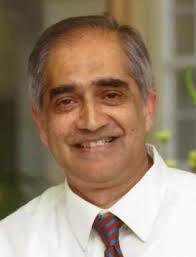 Anwar Suleman Mall is a retired Emeritus Professor at the University of Cape Town. He is a Medical Biochemist by training and was the Professor of Surgical Research in the Division of General Surgery, managing a research laboratory for the training of postgraduate students. Mall also taught Medical Biochemistry to medical students as part of an Academic Support Programme and was a warden of one or other UCT residence for almost three decades. In 2015-6, Mall was Acting Deputy Vice-Chancellor of Student Affairs and transformation at UCT.